Specialized internal communications networks interconnect components inside automobiles, buses, trains, industrial or agricultural vehicles or aircrafts. Special requirements for vehicle control such as assurance of message delivery, of non-conflicting messages, of minimum time of delivery, of low cost, and of EMF noise resilience, as well as redundant routing and other characteristics mandate the use of less common networking protocols. Protocols include Controller Area Network (CAN), Local Interconnect Network (LIN), Media Oriented System Transport (MOST), FlexRay and others. 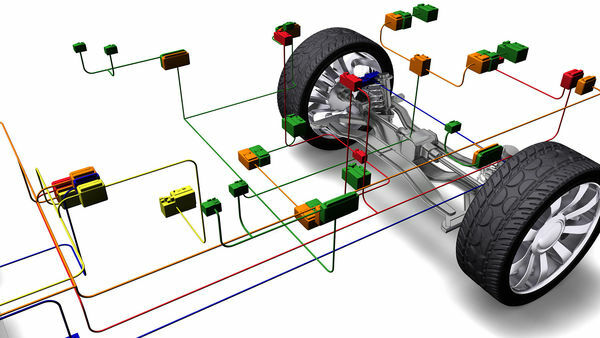 Also conventional computer networking technologies such as Ethernet and TCP/IP are established in automotive engineering by now. For aircrafts Vector offers implementations of AFDX and ARINC 429. Ethernet is used in vehicles in various use cases: transmission of large amounts of data, e.g. for autonomous driving, driver assistance systems (ADAS), infotainment and data backbones. Furthermore Ethernet is used for measurement and calibration, diagnosis via DoIP and communication of electric vehicles with the charging infrastructure. CAN (Controller Area Network) technology is used in the automotive, industrial automation and aerospace industries, in which OEMs and suppliers are confronted with many types of challenges. Vector supports you with professional CAN (FD) softare tools, network interfaces, AUTOSAR basic software and worldwide services. FlexRay is a scalable, flexible high-speed communication system that meets the challenges of growing safety-relevant requirements in the automobile. FlexRay is the right solution for data backbones, distributed control systems and safety-critical applications. LIN (Local Interconnect Network) is a cost-effective and deterministic communication system for connecting ECUs with smart sensors and actuators. In the vehicle networking LIN is primarily used in the area of comfort functions. Today Vector offers the most comprehensive LIN portfolio available. It also supports the SAE-standard J2602. MOST (Media Oriented System Transport) is a serial communication system for transmitting audio, video and control data via fiber-optic cables. This multifunctional, high-performance multimedia network technology based on synchronous data communication requires professional software tools and hardware interfaces.